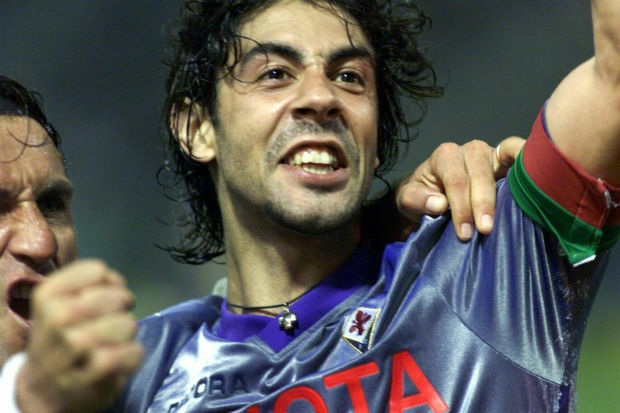 Style, grace and honor are all traits rarely exhibited by soccer super stars of today, however one such legend who not only possessed all three traits but was adored by all soccer loving fanatics was none other than Portuguese footballer Rui Costa. Costa is what legends are made up, the perfect personality, charisma and not to mention shot making skills. His sublime skills as a playmaker graced Seria A and he belongs to that legendary breed of soccer players who value loyalty above fame. Through his decade long career Costa was well known for his graceful technique, vision and excellent passing. Not only that, he possessed the skill to navigate the ball effortlessly using both legs. Many defenders from opposing teams loathed facing Costa due to his superb range of passes and unique ball striking skills. He was born as Rui Manuel Cesar Costa on March 1972 in Amadora, Portugal. By the tender age of five only he was already part of the infant soccer team at a local club. Soon he caught the eye of soccer legend Eusebio who was pretty impressed by the youngster who was playing for Benfica back then. Within a few years Costa was representing Portugal in the Under 21 World Cup where his goal scoring kick resulted in Portugal’s best result in the Under 21 World Cup. Following that Costa returned to Benfica with a solid contract and lead Benfica to winning the Portuguese Cup in 1993 followed by the league in 1994. Due to financial problems at Benfica Costa was forced to pick another club and opted for the Serie A club. Regardless of the move Costa remains Benfica’s most prolific stars as following his departure the club remained titles for the next 11 years. He won the Coppa Italia twice while at Serie A. Throughout his career Costa became legendary of how an attacking midfielder should play – with his crackling field passes, slicing open defenses, to the ability to drift around the pitch. He had the canning ability to influence the game from every angle. Costa’s intelligence also set him apart from other soccer players. He knew exactly where to look for the ball and where to pass it. Costa was never one to bask in the glory, for him it was all about winning the game and then moving on to the next one. He dominated the game with his shot making and still refused to bask in the limelight. He single handedly led Portugal to a 3-0 victory over England in 2000 and was happy to let others take the limelight. Through his international career he made 94 caps and 26 goals. Nicknamed ’the Maestro’, Costa’s career which spanned 17 years encompassed one Primeira Liga title, one Portuguese Cup, one Serie A title, three Italian Cups, one UEFA Champions League title and one UEFA Super Cup. He also represented the country in three UEFA European Championships and one FIFA World Cup. In 2004, he was named by Pelé in the FIFA 100, as one of the 125 greatest living football players. Rui Costa was also included in the Ultimate Team Legends in FIFA 16.